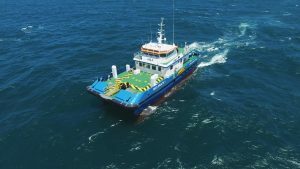 BEE Ltd, is extremely proud to announce that we have been selected to provide a complete electrical and electronics package for the upcoming MCS Swath 11 to be built at Alicat Workboats in Great Yarmouth. This follows on from our design,build and delivery of a similar package for MCS Swath 1 which was completed in Taiwan in 2016. (2) ability to sustain a high proportion of its normal cruising speed in rough head seas.